Romy the Cow, the fun-loving bovine who loves to play with her group of animal friends, is the perfect teacher for young kids. The educational reach of this brand-new series spans topics such as numerals, colors, shapes, and the alphabet. 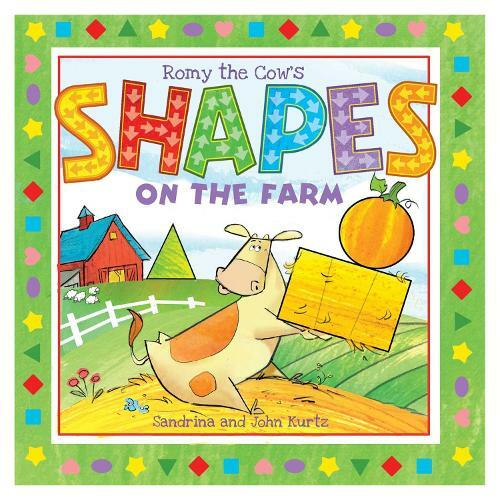 In Romy the Cow's Shapes on the Farm, Romy and her friends show your children various shapes in entertaining scenes from the farm. With beautiful, easy-to-follow, full-color illustrations, Romy makes learning as simple as pie! This bright and vibrant journey-with a cute cast of farm favorites such as horses, pigs, goats, sheep, chickens, and more-makes learning so much fun. Each spread within this book includes a traceable shape with directive arrows to point you in the right way. Sturdy board pages make Romy a great gift as well.